Britain faces an unemployment "bloodbath" in the new year with many tens of thousands of jobs axed in the public and private sectors. Senior government figures are braced for a dramatic lengthening in dole queues in the first quarter of 2009, as employers delay announcing redundancies until after Christmas. Thousands of civil servants and town hall workers will share the pain as government efficiency savings bite, while struggling retailers and manufacturing industry are heading for heavy redundancies. The ranks of the unemployed will be swollen by up to 27,000 staff from Woolworths, which closes its last stores on 5 January, and 1,400 employees of the furniture retailer MFI, which shut last week. The Cabinet expects job losses to accelerate in the harsh trading conditions of 2009. One cabinet member told The Independent: "We know there will be a bloodbath of job cuts in January and February. A lot of companies are holding back until after Christmas." Contradicting saloon-bar wisdom, which says public jobs are safe, the public sector will not be immune from waves of redundancies, with unions warning of more than 5,000 planned job losses among town hall workers alone. They could be the tip of the iceberg as councils face tough financial settlements from central government. Oldham council is axing 543 jobs while Denbighshire council wants to cut 450 posts. Northumberland County Council is preparing to shed 800 employees with 510 going at neighbouring Newcastle City Council. There will be 400 staff cut in Peterborough and Aberdeen, 300 from Wolverhampton Council with a further 150 next year, up to 190 posts lost in Coventry and 100 in North Somerset. Other councils planning redundancies include Worcester (84), Amber Valley (72), Swindon (up to 50) and Ealing (40). Elsewhere in the public sector up to 2,000 mainly white-collar posts will go at Transport for London. Seventy hospital staff in Whitehaven, Cumbria, have lost their jobs and the union Unison is warning that NHS staff could be under threat from long-term spending cuts. Widespread redundancies are expected in the Civil Service, where union leaders fear nearly 10,000 jobs will go in courts and the prison and probation services because of cuts at the Ministry of Justice. An estimated 3,500 more will be axed to meet efficiency savings at HM Revenue and Customs. 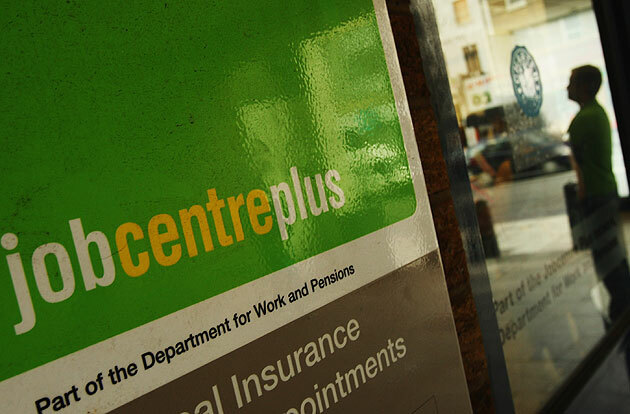 The number of people out of work stood at 1.86 million last month and may have already passed two million. The Federation of Small Businesses forecasts that 30,000 small firms could fold in 2009, with the loss of 160,000 jobs. Its spokesman, Stephen Alambritis, said: "It will be a very, very difficult year – there's a foreboding about February and March in particular." Although transport is considered a strong sector in a recession, that has not stopped National Express announcing plans to shed 300 posts. EWS, the Doncaster-based rail freight company, is in consultation with rail union TSSA about axing 530 jobs. Insolvency experts believe another 10 to 15 well-known retail chains could follow Woolworths into the history books as shoppers rein in spending. Speculation is rife that the music retailer Zavvi, fashion group The Officers Club and the sportswear outlet JJB are heading for a financial crunch. The UK's two pharmaceutical giants, GlaxoSmithKline (GSK) and AstraZeneca have flagged up big redundancies. AstraZeneca said last month that the first of 250 manufacturing jobs will be lost next year, while GSK has said it will close two factories with as many as 620 redundancies in Dartford and 200 in Barnard Castle. Brian Strutton, the national secretary of the GMB, reported that branches up and down the country were reporting councils planning to cut jobs in 2009: "Reasons given go from the tightening of government grants to the credit crunch, to the Icelandic banks effect." Mark Serwotka, general secretary of the PCS union, which represents civil servants, said: "Budget cuts, planned when the economy was in better shape, will not only result in the Government adding to the growing unemployed, but also undermine service delivery at a time of most need." Already 63,000 jobs have gone in the City of London, with more redundancies coming in the financial sector. Abbey, which is now owned by Spain's Banco Santander, has said that it will cut 1,900 UK jobs next year with Credit Suisse and HSBC expected to lose 1,150 positions in the first quarter. Stephen Overell, the associate director of the Work Foundation think-tank, said temporary workers and new staff had so far borne the brunt of job cuts. But he warned: "It is going to get much worse before there is any hope of recovery."